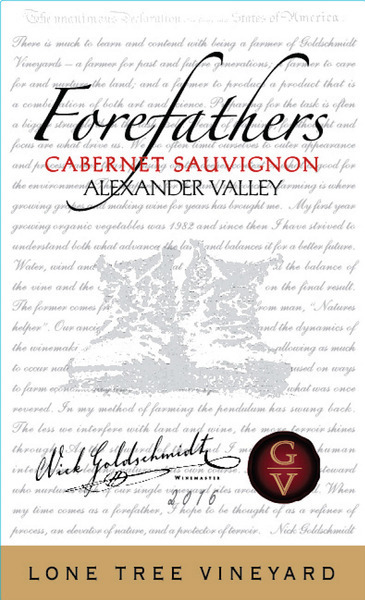 Forefathers Cabernet Sauvignon comes from a 3 acre parcel located just north of Geyserville. 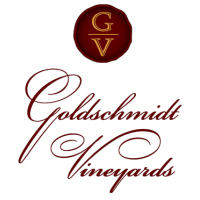 This mountain vineyard faces east and avoids the undesirable, hot afternoon temperatures. East-facing slopes are a relatively rare occurrence in the Alexander Valley, as most of the valley is either heavily forested or too steep to plant (county restrictions). Due to this site’s aspect, we have ample time to get to full flavor and tannin maturity without screaming alcohols. The glacial loam soil at Lone Tree has a little more water holding capacity which helps avoid grape dehydration and elevated sugars. The combination of well-draining soil and soft morning sun promotes long hang times and wines of greater complexity. Lone Tree is cane pruned, a technique which produces smaller berries, less dense clusters, and a more open canopy. The benefit is more even ripening. More black fruit, more depth, and more power is the signature of these much sought after east-facing sites.